The town of Winchcombe is one of the oldest in the Cotswolds dating back to 980AD and Anglo-Saxon. It is a surprisingley unspoilt town with several places to eat and stay. The town has many popular inns, hotels, bed and breakfasts and other types of lodgings not to mention the selection of tea and retail shops. Our bed and breakfast rates are per room, per night, based on two people sharing a twin or double bedded room and include a full English breakfast. SATURDAY - A single night’s stay on a Saturday night is ONLY available inclusive of dinner, bed and breakfast – if you wish to stay for two or more nights our normal rates apply. Our restaurant is closed on Sunday and Monday nights when a bed and breakfast rate will apply. 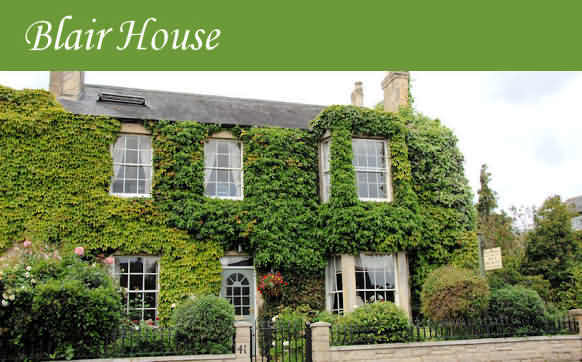 Whether you're searching for a great restaurant, delightful accommodation or a base to explore the local area, Wesley House is ideally situated in the beautiful Cotswold town of Winchcombe. Our cosy bedrooms have en-suite shower rooms and are individually furnished. 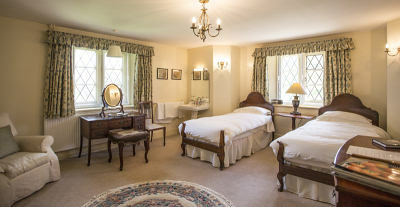 The double rooms are named after the fields surrounding Sudeley Castle of which one, “Almsbury”, has a private terrace overlooking the North Cotswold Edge. See our website for full details of offers. 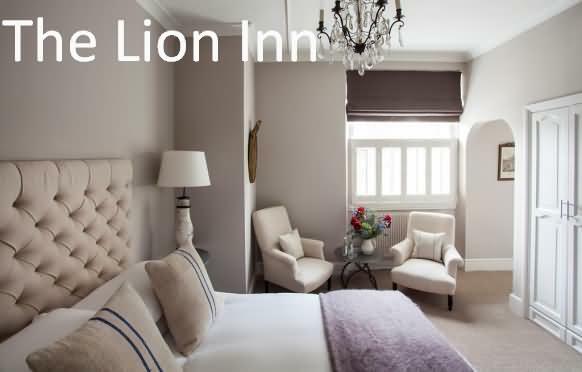 The Lion Inn is located in the centre of Winchcombe and is 15 minutes’ drive from the large spa town of Cheltenham and features an on-site restaurant and bar. There is also a garden which can be used for al fresco dining. Each room has fresh flowers, a power shower and free Bramley toiletries. There are no TVs in the bedrooms. Free tea and coffee is provided when requested from reception. Each bedroom has individual character, 2 with their own stone stairway and 1 with a vintage mural. Local beers are served in the bar, while freshly prepared meals made with local ingredients are available in the restaurant. The property is located in the center of Winchcombe, a historic Cotswold town which includes antiques center, award-winning delicatessens and boutique cake shops. The surrounding Cotwolds are a designated Area of Outstanding Natural Beauty and offer thousands of miles of footpaths, rolling countryside and scenic villages. Blair House is an attractive Georgian home situated in the Saxon town of Winchcombe within walking distance of local pubs, restaurants and shops. There is a Tourist Information Centre during the summer months. We are also close to the Cotswold Way and other walks. We offer 3 bedrooms - a Double en suite situated on the ground floor, a Twin/Double and a Single on the first floor. All rooms have TVs and tea and coffee is provided. There is a guest lounge available on request. Please be aware we do have 2 cats and 2 dogs in case of allergies. Nearby attractions include historic Sudeley Castle and the Gloucestershire & Warwickshire Steam Railway. A short drive further afield are several National Trust properties and the world famous Cheltenham Racecourse. spectacular views, one double/twin room and one single. 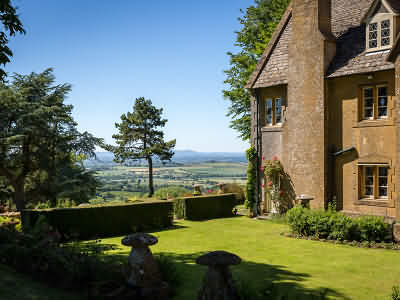 Brockhampton is ideally situated only 11 miles outside Cheltenham and a short distance from Winchcombe, Bourton-on-the-Water and Stow-on-the-Wold. It is a quiet village with a lovely old pub and surrounded by beautiful countryside inviting you to explore on foot, bike or by car. During the summer months you are welcome to use our lovingly tended grass tennis court. The double room has its own TV and hospitality trays are available. Start the day with a sumptuous breakfast including our own eggs and honey. We are open all year round and we welcome pets (comfortable outside kennel available). We are a non smoking family. Guide Price: Weekdays - Single £35, Double/Twin £55. Friday/Saturday - Single £40, Double/Twin £60. Absolutely superb situation with magnificent scenery, this impressive mellow stone Cotswold Farmhouse offers cosy, comfortable, well equipped and spacious accommodation. Bedrooms are en suite or with private facilities, TV's, beverages, armchairs and many other homely extras. There is a beautiful guest lounge, attractive dining room and a large well tended garden to relax in and enjoy the views across the countryside towards Winchcombe. The farm itself is just south of Winchcombe. You approach it down a half-mile tree-lined drive to the tiny Hamlet of Postlip with its 14th century Manor House and Tythe Barn. 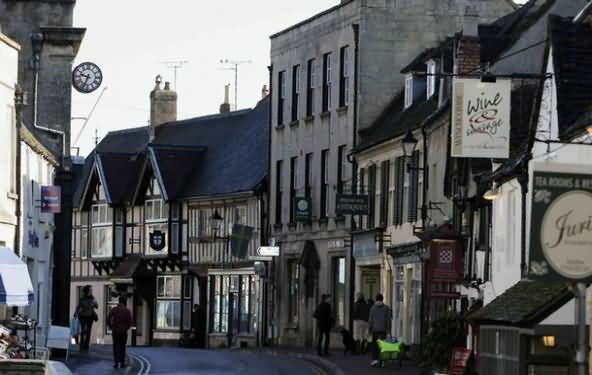 Absolute peace and quiet are guaranteed, yet we are less than five minutes from Winchcombe, in itself a beautiful yet unspoilt small Cotswold town. Sudeley Castle, reputed to be one of the finest small castles in the country, is only 5 minutes away on the edge of Winchcombe. There are numerous eating places in the locality, all serving great food. We are very centrally placed for visiting all that the Cotswolds have to offer. Stanway, Broadway, Chipping Campden, Stow-on-the-Wold, Bourton-on-the-Water and The Slaughters are just a few of the villages close by. The house was built around 1840 for the second Lord Sudeley. It has a flagstoned hall entrance leading to comfortable spacious accommodation upstairs. There are three rooms - a twin room with en-suite bathroom, a second twin room with private bathroom and a double en-suite room. All rooms are large enough to accommodate a third bed if required. The rooms are non-smoking and equipped with television, radio, hairdryer and hospitality tray. 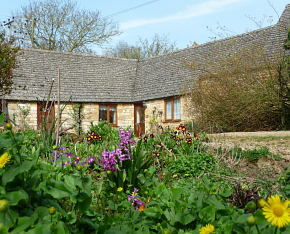 Farmcote is well situated for walking, with the Cotswold Way crossing the farm. In the immediate vicinity there are lovely country walks, some of which can take in a pub or two. Nearby is the Cotswold Farm Park at Temple Guiting, The Gloucestershire and Warwickshire Steam Railway at Toddington, the historic Sudeley Castle at Winchcombe and Prescott Hill Climb for motor enthusiasts. 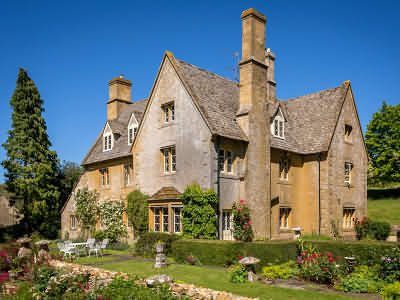 Broadway, Chipping Campden, Stow-on-the-Wold, Bourton-on-the-Water and Cheltenham are all within a half-hour's drive, with Stratford, Oxford and Bath only an hour away. Farmhouse dating back to approximately 1600's nestled at the foot of the Cotswold Hills, lovingly restored combining character with convenience. 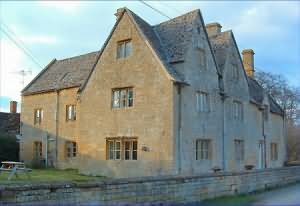 Situated on the Cotswold Way between Broadway and Winchcombe. All rooms en suite. One double room with bath, one family room with shower/bath, one twin room with shower. Tea and coffee making facilities in all rooms. Evening meals and pack lunches available on request. Guest lounge/TV room, guest dinning room. Free off road parking in large farm courtyard. Large gardens. Porterage available. A warm welcome awaits you from Maggie Green. 1 mile from local Pub/Restaurant and historic steam railway. 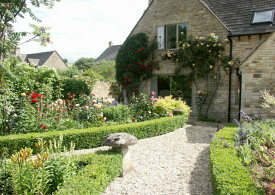 1 mile from the picturesque village of Stanway, with its Jacobean Manor House and Watergardens. 1 mile from Hailes Abbey and farmshop. 5 miles from Sudely Castle in the historic town of Winchcombe. 12 miles from regency Cheltenham and race course. 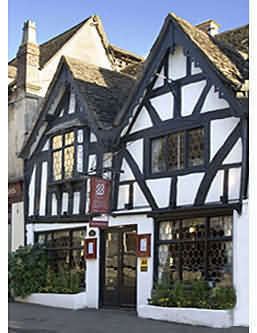 Visit Cotswold towns such as Stratford-upon-Avon, Bourton-on-the-Water, Tewkesbury, Evesham, Stow-on-the-Wold, Burford. Choose from three different bedrooms to stay in, depending on your requirements. The Green room boasts two single beds, with ensuite shower facilities. The Yellow room can accomodate families thanks to the large double and single beds, with ensuite showering and bathing facilities. Finally the Blue room contains a large double bed, ensuite bathroom with bath. For more information on these rooms, click on the links below. In a quiet rural setting. Overlooking picturesque steam preservation railway. Various highly recommended pubs/restaurants within approx. 1 mile. Jenny and Norman Collier offer guests a truly relaxing Cotswold Country Break at Old Station House. Step back to the elegant age of steam. This Edwardian Cotswold stone former station master's house is set in an attractive garden. It has two tastefully furnished guest rooms with every modern comfort. The accommodation consists of a double room with separate private bathroom and a double/family room en suite. Both have hospitality trays, hairdryers and radio alarms. There is a comfortable lounge with Sky TV, an open fire on dull days, games, magazines and information on places of local interest. Breakfast is served in a heated conservatory overlooking the preserved steam railway. The tariff includes a home baked afternoon tea on arrival and breakfast chosen from a varied menu including home made preserves and local produce. Special diets catered for by prior arrangement. 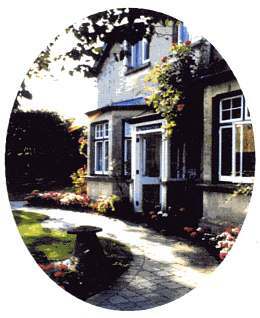 You will find our farmhouse bed and breakfast accommodation a delightful place to stay and an ideal centre for touring the Cotswolds. Situated amongst the rolling hills of the Cotswolds yet within easy reach of Cheltenham, the farmhouse accommodation has en-suite guest rooms with outstanding views. Sit at the large oak refectory table and enjoy a full english breakfast each morning whilst enjoying the view of the surrounding countryside. 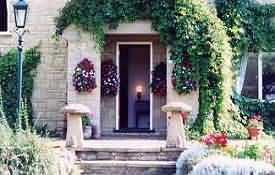 No matter what the season in the Cotswolds you are sure of an extremely enjoyable break. There are many interesting places to visit, together with National Hunt Racing at Cheltenham and Worcester, Prescott Speed Hill Climb, Cheltenham Festival of Literature and agricultural shows. 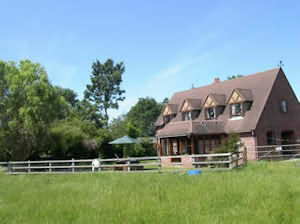 The bed and breakfast is within easy travelling distance of Stratford-upon- Avon and Warwick. We also offer farm tours for a duration of anything between 1-4 hours depending on interests. The new farmhouse is built in traditional style with large beams, inglenook fireplace and a dining room that holds a large farmhouse table and comfortable chairs to ensure that you enjoy your breakfast at your own leisure. In Winter why not sit in front of the large log fire in the lounge. Unwind, read a book or watch television, play board games, cards or just relax and do absolutely nothing. Why not try out our hot tub situated in the garden. The guest bedrooms are ensuite with bath or shower. They have colour TV’s with tea/coffee making facilities and a cot is available on request for those with a young baby. The Old Stables is a delightful holiday cottage stable conversion on the Cotswolds Escarpment with magnificent views over the surrounding Cotswolds countryside and towards the Malvern Hills and Welsh mountains beyond. Farmcote is a tiny hamlet close to the Cotswolds National Trail and yet within easy reach of beautiful Cotswold villages and towns of Broadway, Stow-on-the-Wold, Winchcombe and Cheltenham. Winchcombe, home of famous Sudeley Castle, is only 3.5 miles away and is the nearest shopping centre. The town of Winchcombe is an ancient town and was the capital of Mercia in Saxon times. The Old Stables is fortunate to have its own supply of spring water. There is also an open plan sitting room with coal effect oil stove, colour TV and CD player. The dining / kitchen area is well equipped and includes a washing machine, microwave, electric cooker and a fridge with freezer compartment. There are two bedrooms, one with a double bed and separate bathroom facilities. The Twin bedded room has its own en suite bathroom. The private bathroom has a shower above the bath and both bathrooms are equipped with heated towel rails. From the dining area there is access to the garden. Here there is a patio area with garden table and chairs and stunning far reaching views across the countryside. All bed linen, towels, electricity and heating is included in the price. Unless walking, a car is necessity and there is ample car parking for two cars. The Old Stables is a non-smoking cottage. Converted from the old forge on the ground of Sudeley Castle Charles I is named in memory of Charles I, who took refuge at Sudeley Castle after his failed siege of Gloucester during the English Civil War. When you step into this cosy cottage you will feel instantly relaxed and at home. In a similar style to the neighbouring cottages Prince Rupert and George III this cottage has charm and character with wooden beams and dividing walls, local historic artwork and even a pretty divided staircase leading upstairs to each of the bedrooms, making you feel like you have two wings to the house! Charles I is the middle cottage of three, sharing a private decked area perfect to sit on and watch the sun go down over the woodland and fields of the beautiful Cotswold's. When staying in the Charles I cottage you receive complementary entry in the open seasons to the beautiful and historic Sudeley Castle and Gardens where you can fully immerse yourself in the history of your surroundings. 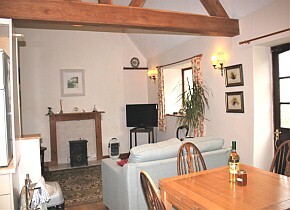 Charles I cottage can be booked with other cottages in the courtyard ideal for larger groups or larger family gatherings.